Cessnock’s Jungle Juice Cup |Winter horse racing carnival. Cessnock is a city that lies in the Hunter region of New South Wales, about 52 kilometres west of Newcastle. It was named after a grant of land called the Cessnock Estate in 1862, and was once known as “the Coalfields”. It is the gateway to the vineyards of the Hunter Valley, which is Australia’s oldest and most famous wine growing district. The city has many place names with indigenous associations, as the Wonnarua people were the major inhabitants at the time of the settlement. The Jungle Juice Cup is one of the outstanding race days celebrated at Cessnock each year. It is held on the first Tuesday in July each year and is a highlight of the Cessnock Racecourse winter carnival, and the biggest day at the Racecourse. It is run over 1350 metres and the prize money is 27,500 dollars. The Jungle Juice Cup day is a great social day, with excellent racing and lots of other activities to interest the crowd. Many groups put up their own marquees and hold their private functions in order to include watching the Jungle Juice Cup, one of the most popular race meetings in the Valley. The Jungle Juice Cup began 32 years ago and was named for the Highly Alcoholic Dr. Jurd’s Jungle Juice, developed at the Wollombi Tavern by Mel Jurd. Tradition has fallen away in recent years, and the famous local drink is not served any more, but the iconic race is still known by that name. Cessnock’s Jungle Juice Cup has come a long way since the wild days of lax alcohol laws, but it is still one of the premier country races of New South Wales. At the last running of the Jungle Juice Cup there were more than two thousand people who enjoyed the friendly country atmosphere of the Race Day at the Cessnock Racecourse. 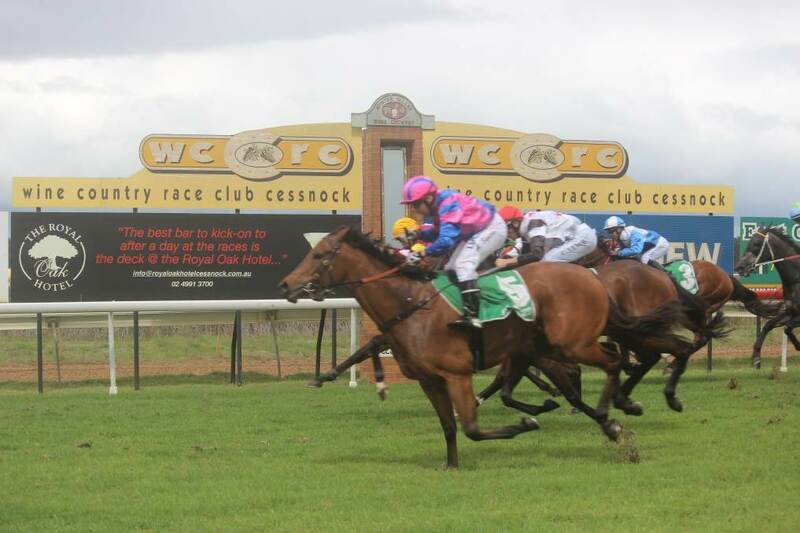 There are a number of other important feature race days held at Cessnock racecourse too, including the Anzac Day races, and the Tooheys New Cessnock Cup. Cessnock Racecourse was purchased by the Newcastle Jockey Club in 1981, and since then has enjoyed a long and proud history. The course was renamed in 2002 as the Wine Country Race Club. Upgrading of the facilities was completed to hold a new sponsor’s area that flows on to a balcony overlooking the parade ring. Australia’s country horse races are always popular, and provide great bets for horse racing opportunities for the punter. They are often one of the main social events for the local population, and provide lots of fun and entertainment, as well as horse races with many of the district’s quality horses. Punters in Australia enjoy the wagers at the horse races, and these days with the advance in modern technology, it is becoming easier and simpler to do. Instead of having to attend the races at the various racing tracks, the modern punter can place his bet online, on a computer or mobile phone, while sitting on his couch at home. International sporting events these days draw huge crowds of punters, all eager to place a bet on the outcome of each competition. If people cannot be present at the actual event they will watch the contests on the television, and of course there is a bigger thrill if the punter has a bet riding on the results.